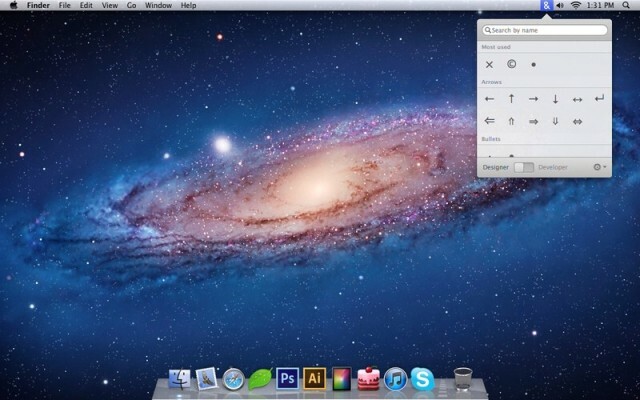 Characters is a simple Mac app which pops up a search box and lets you find these symbols. Type in the letter “C,” say, and you will be presented with relevant options (like ç or ©). In designer mode, you click to copy the symbol to the clipboard. In developer mode, the HTML coding is copied instead. It’s simple, it works, and it looks great. And it’s the perfect example of the cheap single-serve apps that were hard to sell before the Mac App Store. Characters is available now for $5.